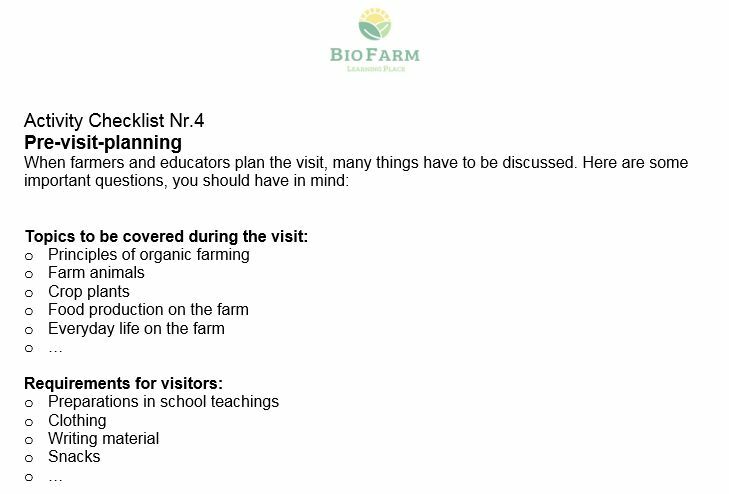 Before a farm-visit is carried out, teachers and farmers usually discuss and fix many points an telephone or face-to-face, e.g. date, duration, detailed program, group size or fare. It is good practice to invite the teacher in charge of the visit to a pre-visit. The questions in the following checklist help to keep everything in mind.